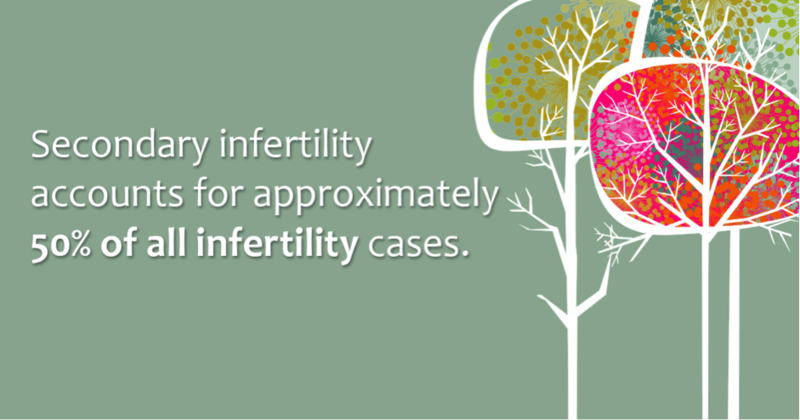 Is it right to treat secondary fertility SI (the inability to conceive a second or third child after successfully conceiving the first) with the same significance as primary infertility PI (the inability to conceive a first child)? I guess by “treat” I really mean in a social sense as opposed to medical, as the medical options and tests would be the same for both instances, but are the social reactions to SI reasonable and do we accept that all forms of infertility are equal in terms of their impact on the potential parents? The reality is that SI is common and becoming more so, in part due to women having kids later in life. Interestingly, the NHS in the UK very rarely provide free IVF treatment for couples suffering from SI so there is already discrimination happening in a very real sense and the notion that you should just be happy with the child you have comes into play by enforcing this rule. Is it right that only people who can afford private treatment have the option of combatting SI? For those of us who have primary infertility PI, SI might be difficult for us to take seriously and perhaps we’re not the best people to provide an objective opinion on the matter, but these women still go through the same devastation as we do; the monthly disappointments, the questioning from others about when they’re going to have another child, the intrusive tests and feelings of failure and guilt. So, in a way, perhaps those with PI are in the bestposition to sympathise although there’s obviously the glaring difference in the fact that they already have a child and have become a mother. I’ve always been intrigued as to why couples would go through the turmoil of year after year of trying to conceive a second or third child and even resort to IVF in an attempt to get one when they had already become parents. I did fall into the camp of “just be happy with what you’ve got” until my friend Amanda was thrust into this situation. Amanda knew that we were struggling to conceive and so found it hard to admit to me that she was having problems herself trying to conceive a second child. She told me there was a sense of guilt there that she too felt she should be able to be happy with the child she had but she was desperate to provide a sibling for him. I got the impression the desperation was more to do with not wanting her child to grow up on his own as opposed to her own need to have another baby. She and her partner tried a couple of rounds of IVF which failed but she still persisted, trying other natural routes to improve her chances and when her baby girl did finally arrive, she was more elated than I’d ever seen a pregnant woman be! And I understood at that point. My friend wasn’t being greedy, she had every right to crave another child and provide a sibling for her first child. It’s obviously not everyone’s desire; some women are happy not to have kids, some are perfectly happy with one and some won’t be happy until they have 4 or 5 but it’s not down to us to judge what’s acceptable for one couple over another. There shouldn’t be discrimination or silencing of women who are going through SI, but an acceptance that infertility is devastating no matter what your circumstance and as a society we should be supportive of everyone going through it, whether they have children or not. Has this topic resonated with you this week? Are you suffering with secondary infertility in silence? Wherever you are on your fertility journey, I’d love to hear from you. You May Like Sperm Meets Egg – Not all it’s cracked up to be!